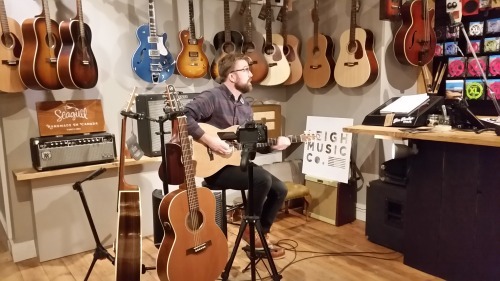 Filmed a great talk from James the UK rep of Seagull guitars, who are part of Godin and the Simon & Patrick guitar company. He describes the history, the quality, how they’re made and and the differences throughout the guitar range. Video will be up shortly, as part of a series of informative videos with Leigh Music Co, audio by Tom Davis.